What happens when you mess with people’s money? Nothing good. Employees get confused, frustrated, and angry. HR professionals get frantic and overwhelmed. And Uncle Sam eventually gets even. Point is, you want to do all you can to avoid payroll mistakes, which begins with understanding why errors happen in the first place. Here are some common questions about compensation and the answers to help you get it right. Q. Are employees actual employees? That may seem like a strange question, but misclassification of workers is perhaps the most pervasive payroll error. In 2000, a study commissioned by the U.S. Labor Department found that 10 to 30% of audited employers misclassified workers. One common way is by identifying employees as independent contractors or vice versa. The distinction is important, because while the Fair Labor Standards Act (FLSA) covers most employees, it doesn’t apply to independent contractors. By inadvertently misclassifying a worker, you may cause the person to receive incorrect wages and the government to miss out on tax revenues. Furthermore, if you’re audited, you’ll likely be forced to pay both the employee and employer’s share of taxes, penalties, interest, and possibly back wages. To make sure you’re classifying correctly, check out the IRS’ handy guide on differentiating between employees and independent contractors. Be certain that if the IRS or DOL audits you in this area, they will be likely to find something. Q. Do I have to pay overtime? Under FLSA, exempt employees are excluded from requirements pertaining to minimum wage and overtime pay. To be exempt, an individual must be paid a salary (rather than hourly) regardless of how many hours they work per week, as well as earn no less than $455 per week, or $23,660 per year. Additionally, the person’s primary duties must be in an executive, administrative, professional, or a specific sales capacity. The DOL attempted to raise the pay threshold to $47,476 in 2016, but it was struck down by a federal court a year later. As to what constitutes primary duties, there’s no hard rule here. Typically, the less time someone spends performing work in the above-mentioned categories, the more likely the government will consider that individual nonexempt. But wait! The law gets even trickier. Take blue-collar workers. Mechanics, plumbers, construction workers, and other people who perform repetitive physical work are always considered nonexempt and entitled to overtime pay, no matter how much they make. Check out the U.S. Labor Department’s fact sheet on exemption to ensure you’re paying people accurately. Q. When do I have to pay overtime? FLSA rules dictate that all nonexempt workers must be paid 1.5 times their regular hourly rate for time worked beyond 40 hours a week. (A workweek is any fixed, recurring period of 168 consecutive hours, or 7 days x 24 hours). 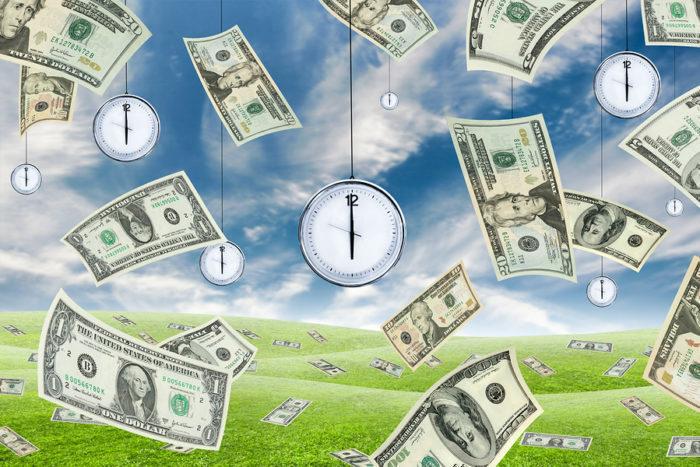 Now here’s the important catch: If an employee works overtime on a discretionary basis, you must still compensate that person with overtime pay. In fact, even if an employee works overtime without the approval of management, you must pay overtime wages. What’s more, “But I told the employee not to work” is not a defense that actually will work in court. You may, however, discipline an employee for working in an unauthorized capacity. Sure enough, the government offers a guide to overtime pay, as well. Q. What about breaks and meals? Generally speaking, you don’t have to pay people for meal time. That said, state laws vary greatly as to whether you must provide nonexempt workers with breaks for lunch or rest. In general, rest periods of five to 20 minutes may be considered work time. Meanwhile, bona fide meals or breaks lasting 30 minutes or longer are not considered time worked. Curious about meal and rest break requirements in your neck of the woods? Check out the Society for Human Resource Management’s state-by-state breakdown. Q. What about employees who are on-call? If you ask nonexempt workers to be on standby and being on-call restricts their personal activities, then you must pay them for that time. Of course, “restricts” is up to interpretation. Generally speaking, though, the less freedom someone has off the job while on-call, the more likely you have to pay that person. On a related note, you don’t have to pay someone who arrives to work early and must wait for a shift to begin. But as in previous examples, if that person chooses to start working early, then you must compensate the worker for that time worked. However, if a shift starts and there is no work to do, you must pay for that time and, depending on the state, you may be required to pay for a minimum numbers of hours whether they actually worked them or not. In California, sending a scheduled worker home at the beginning of their shift will cost you two hours pay. Q. Do I have to pay people while they change into uniforms? Yes, no and maybe. Different courts have ruled differently on this matter. Generally, if you require nonexempt workers to change at work, then yes, you must compensate them for that time. However, if workers are able to arrive at and leave the workplace wearing their uniforms (that is, you allow them to change elsewhere), then you probably do not have to pay for that time. Q. What about travel time? This can be a tricky area. For starters, you don’t have to pay nonexempt employees while they commute to and from work, even if using a company vehicle; but technicians traveling to a service call must be paid for travel after the first trip. And workers traveling from one work site to another must be paid. In addition, travel to and from an airport in the morning or at night may not be compensable, since an employer can consider that equivalent to a regular commute. As for overnight travel, you don’t have to pay someone for traveling — be it by plane, train, boat, bus, car, bicycle, you name it — outside of regular work hours for overnight trips. However, time spent traveling on a weekend is considered work time if the travel is during the same hours that the person would normally work during the week. Now here’s a caveat you should be used to by now: If the employee spends time working while a passenger at any point, you must pay the person. Q. Do I need to pay people while they’re in training? The employee performs no work during this time. You can learn more about requirements related to being on-call, changing into uniforms, travel and training times, as well as other principles to determine hours worked by checking out the U.S. Wage and Hour Division’s publication on these topics. Finally, there are many other ways to get payroll wrong, from using the wrong tax rates and missing filing deadlines to overlooking holidays, keeping poor records, and failing to honor collective bargaining agreements. To ensure that you stay compliant, particularly with state and local laws, you should consult a local attorney. Just make sure you pay your lawyer correctly, too. Patrick Wilkinson is the chief human resources officer at Viventium, a purely cloud-based payroll and HR (HCM) software that provides a remarkable user experience and design anyone can use with ease, unbeatable analytics, and insight into your business.